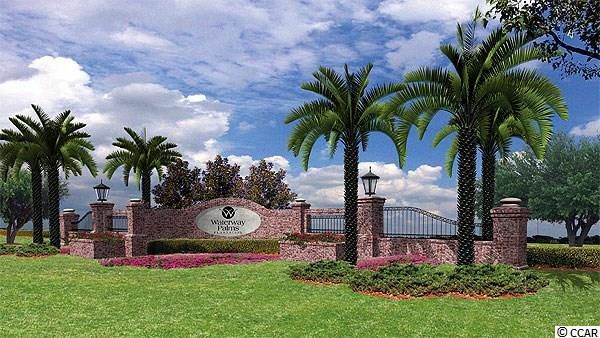 Waterway Palms Plantation is a beautiful gated Intracoastal Waterway community. Relish in a Charleston-style home or enjoy the low country feel with custom features and upgrades. Homes range between 3-5 bedrooms from the low $300’s to the $800’s. Looking to build your own? Lots start around $40,000. Enjoy all the amenities this community HOA has to offer for $107 a month: tennis-courts, the resort-style clubhouse, pool, playground, boat ramp, and docks. SC Real Estate Network would love the opportunity to help you find the perfect home in the perfect place! Contact this community’s expert for your free Relocation Guide by calling Monika Gutride, Realtor, at 775-813-0621 or by email at Monika@SCRealEstateNetwork.com. Listing courtesy of Century 21 The Harrelson Group , Kasim Safa.